Romance is rare in the zombie apocalypse, so it’s pretty refreshing when a new coupling makes their first move. Richonne just seemed like something all of Tumblr was screaming for but might not ever happen (like Caryl, though I’m still gunning for that one), but now it’s actually real. 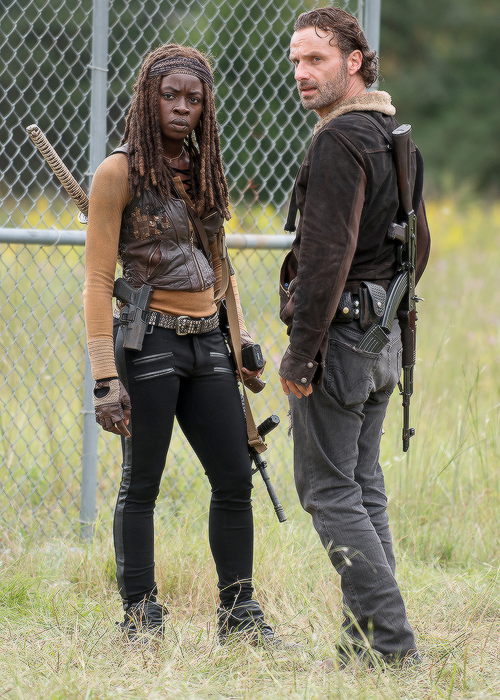 At the end of episode 6.10 “The Next World,” Rick and Michonne are chatting about their day “honey, I’m home” style and some impulsive hand-holding quickly leads to other things. The next day, Rick tells Carl “this is different.” And it feels different. Andrew Lincoln and Danai Gurira have both said in interviews that living in Alexandria and being in a place where they finally feel confident in their safety and their ability to survive has led them to remember that there’s more to life than stabbing, shooting, and slicing walkers on the reg. They’ve recognized something in each other that makes sense and it’s an organic acknowledgement of feelings that perhaps they just didn’t have time to accept before. It was a great moment and now that they’re official, it puts them at the top of my list. Nobody screams “power couple” more than the ringleader and the samurai—the couple that slays together stays together. Buffy is the very definition of power. She’s the Chosen One, born to stand alone against the forces of darkness. When she meets and falls in love with vampire Angel (how poetic), the two are so closely matched that they almost kill each other on more than occasion throughout the series. Over the span of seven seasons, Buffy struggles with her supernatural calling: Is a slayer anything more than just a killer? How can death have a positive impact on the world? Meanwhile, Angel grapples with his past as a murderous creature of the night, cursed with a soul to feel remorse and spends his time with Buffy (and beyond, in his own spin-off show), seeking redemption. Both are deeply conflicted characters, made all the more sympathetic (and dangerous) by their unwavering love for each other. In the big sea, these two barely make waves—but in their small puddle of Stars Hollow, the entrepreneurial business owners are beloved enough that their on-again-off-again relationship always had a ripple effect on their neighbors. Everyone wanted to know the details, the town was divided after their first break-up, and I’m sure there was a mini-celebration following their series finale reunion that viewers missed out on. It’s immensely satisfying to watch two incredibly independent people realize that they don’t always want to go it alone—they need someone to lean on, someone to turn to, someone to be vulnerable with. Luke and Lorelai were a perfect match, not only because of their respected status within their very small town, but because they were better together. They supported each other. Now that a revival is in the works, I’m anxious to see how far they’ve come after their relationship culminated in a resounding ON-again nine years ago. When the premier neurosurgeon in the country started a fling with his star intern, viewers weren’t sure what to expect. Would their one night stand remain just that? 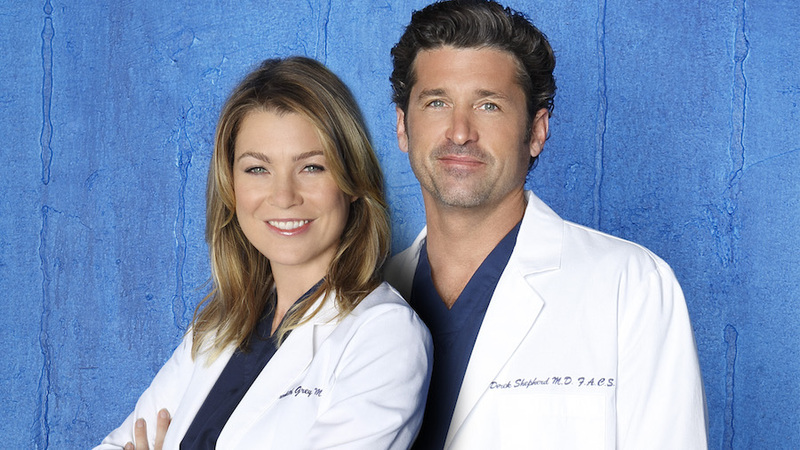 As one of the longest running medical dramas in TV history, Grey’s watchers have had their hearts stomped on time and again, mostly while watching MerDer fight through crisis after catastrophe at the hands of Shonda Rhimes. The eventually-married couple appeared to finally be approaching some semblance of happiness when Derek lost his life in one of the most brutal episodes of the show to date. But before that event, which I choose to ignore completely, the two ruled Seattle-Grace-Mercy-West/Death-Grey-Sloan-Memorial (how many different names will it have by the time the show ends?) with a couple of iron fists throughout medical marvels, a stint as Chief of Surgery, even part ownership. They were THE couple of the show. And now their love is dead. Thanks, Shonda. I only juuuust started watching this, so I’m barely a handful of episodes into season two but it’s made abundantly clear early on that these are people to watch closely. 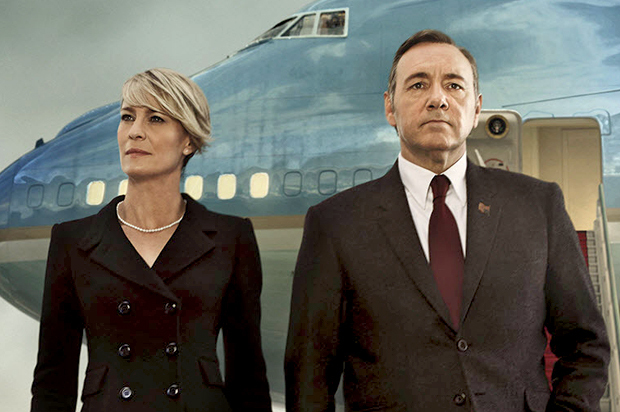 Frank will stop at nothing, apparently not even murder, to climb to the top of the political hierarchy and Claire is equally ruthless in her own right. I’m definitely intrigued to see just how far they go to achieve the presidency and what will happen once they do. Something tells me they won’t be using that power for good. This entry was posted in Five Favorites, TV and tagged angel, buffy, buffy summers, buffy the vampire slayer, claire underwood, derek shepherd, frank and claire, frank underwood, gilmore girls, grey's anatomy, house of cards, lorelai gilmore, luke and lorelai, luke danes, merder, meredith and derek, meredith grey, michonne, power couples, richonne, rick and michonne, rick grimes, the walking dead, tv. Bookmark the permalink. Heck yes to this list. Really glad to see Rick and Michonne on the list. No “Top Power Couples” list is complete without Rick and Michonne, so I’m thrilled to see Richonne included here! Thanks for including my lovelies. They are the ultimate power couple! Richonne on!!!! Thank you for this article!!!! Michonne and Rick Grimes are THE POWER COUPLE. King and Queen of ZA. Richonne yaaassssss. Kang and Queen of the ZA. Richonne and Bangel!!!! Yes! Especially Richonne who are the epitome of power couple. Love them. Other than than, that’s a great list. Though relatively new, Rick and Michonne are the epitome of power couples. Glad to see them included here!